Directed by Pedro Temboury. Spain. 2015. 78 min. Spanish with English subtitles. The documentary focuses on seven key moments that defined the early days of Spanish surfing. 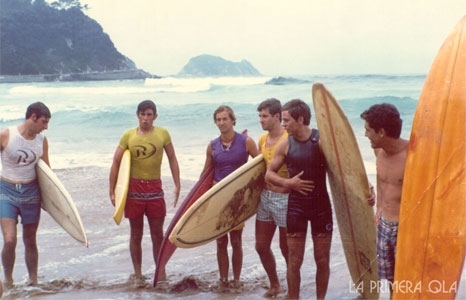 Through unpublished Super8 footage and hundreds of photographs, Pedro Temboury tells stories like that of Félix Cueto, a young kid from Oviedo who made himself a surfboard with only a Beach Boys album cover for guidance, surfing it for the first time in 1962. He looks at how the Canary Islands became the Hawai‘i of the Atlantic—and was overrun with crowds as a consequence. And he reveals how the Australian Gulley brothers found waves on the coast of Asturias better than any they had surfed in their homeland. See for the first time the inside story of the young men and women who saw in surfing an escape from the adult world—a world that wanted to make respectable citizens out of them, when all they wanted were good waves, empty beaches, and fun, lots of fun.